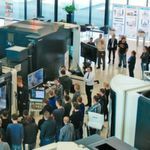 Seco Tools together with DMG Mori and CADAM recently presented state-of-the-art milling strategies in DMG Mori's Technology Centre in Winterthur. Matthias Böhm, Publisher SMM, had an interview with the CEO of Seco Tools. Different milling technologies can offer new impulses when it comes to machining larger volumes in less time. One focus could be to maximize machining volumes at any rate. Another focus could be on ensuring the longest possible tool service life at an acceptable machining volume, or on highly reliable machining processes with simultaneous high machining volume. In the following interview, conducted during the Seco Tools event, Seco Tools CEO Carl-Henrik Sjölund explains which are the key factors today for realising economically and technologically outstanding machining processes in the future. Mr. Sjölund, your tooling seminar addressed new machining strategies. Could you explain this in more detail? 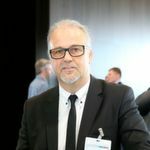 Carl-Henrik Sjölund: For decades, SECO Tools has focused very much on education and training related to machining processes and we realised that even mechanically trained professionals have only partial knowledge of «new machining strategies». I believe that machining process expertise and the proper and targeted use of machining solutions is crucial for achieving one's goals. What role do CAM system, machine tools and tools in general play in this regard? In our technical seminars, we demonstrate that the key to success is cooperation and the exchange of knowledge. The appropriate tool, processing machines and CNC program must complement each other perfectly. This is becoming increasingly important in complex milling processes. A collaborative partnership between all stakeholders will become even more crucial in the future. That is why we are presenting manufacturing solutions here at DMG Mori together with CADAM. In your seminar, you specifically talked about error prevention. What errors are most common and how can they ultimately be avoided? There are some very specific errors, like suboptimal tooling solutions with wrong cutting data, that result from a lack of knowledge. 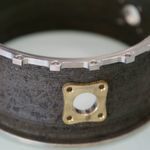 Such machining conditions can lead to vibrations, tool breakage and even shaft damage. Our application engineers can rectify such errors quite quickly and easily. More difficult to correct are long-term management decisions based on cost-cutting or a mistaken profit optimization, which often result in inadequate training of production staff or insufficient new investments in the entire production processes. Can modern machining strategies be implemented overnight, or must one invest in state-of-the-art machine tools, CAM systems and tools first? Some milling strategies can well be implemented with older machines as well. However, there are limits in regard to speed, feed rate and dynamics. Altogether, it is much more efficient to utilise new strategies with new software tools, modern programming interfaces and flexible machines. In order to meet the standards of Swiss production, I recommend approaching process goals with the best machines, tool manufacturers and CAM software service providers available. This ensures that one is always on the right track. What potential does this offer for individual machining processes? Buying cheaper is always tempting. Unfortunately, a reality check shows that the purchase price makes up only a small portion of production costs. Much more important are an efficient use of machinery and controlling tool consumption. Nowadays, an important part of our consulting services is comparing total cost accounting in the context of new production strategies with the pure cost of tools or tool consumption. Or more simply put: In many cases, properly utilised high-quality tools offer a more beneficial cost structure than low-cost tools. In such highly dynamic processes, what are the demands on tools in regard to cutting edges, flutes and macro geometry in general? Each manufacturing method in our range has an optimized cutting solution, including cutting edges and flutes. That means that the requirements of each milling strategy are tested and guaranteed. The corresponding success then depends on the user and the proper selection of the correct operating data for the chosen machining strategy. Do you notice businesses increasingly investing in innovative processes as a result of the challenging economic situation for manufacturing in Switzerland? There are companies in Switzerland that make investments even in difficult economic situations. These are often SMEs with dedicated staff and managers. Global corporations have become extremely cautious since the revaluation of the Swiss franc, and even close down their manufacturing facilities in Switzerland. It is unfortunately a fact that many of our largest and most well-known customers from ten years ago now no longer have production facilities in Switzerland. I for one believe in the Swiss spirit of entrepreneurship and precision engineering, which is also demonstrated by the great interest in our seminar. There is no doubt that our seminar partners believe in this spirit as well. After all, today's presentation takes place at DMG MORI's New Global Headquarters in Winterthur.